Multimillion dollar earners such as Oprah, Jim Carey, Steve Harvey, Beyonce, Ellen DeGeneres, Olympian Michael Phelps, Arnold Schwarzenegger, and even our US Navy ALL attribute a large part of their success specifically to vision boarding. Vision Boards are tools that we create, in form of collages, pin-pointing exactly what we want to attain in our lives now. By continually using visualization to focus on what it is we desire, we in turn manifest it into our life. This is NOT a wish list in which we create & wait. This is a specific goal-conquering technique, where action combined with positive thinking manifests those dreams. Indigo Starr invites you to think outside the box. Dare yourself to believe in yourself. Join us in this informative workshop in which we discover how vision boards work, why vision boards work, and then you create your own vision board so you can take home the resolution to begin the life you imagine, in the now. All materials provided ... (but we recommend bringing any inspirational photos, pictures, and affirmations personal to you). PLEASE NOTE: The kid version of this workshop will be tailored & age appropriate. We will help your child discuss what a true goal is & how visualization can help them attain any dream they have. In this mindful workshop we will focus on going within and create positive affirmations to begin this artistic adventure. We will work both as a team, and individually with the intent of offering ourselves powerful affirmations. 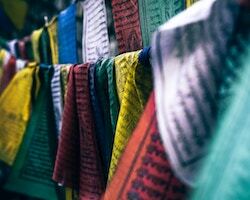 Historically, prayer flags have always advocated peace, unity, wisdom and love, originating with the people of Tibet. Tibetans believe the prayers and affirmations will be blown by the wind to spread peace and compassion to all. Our take on this belief honors that tradition, while uniquely tailoring it to each being who is doing the creating. Envelop your child's imagination in magic and wonder with this truly one of a kind workshop. Utilizing Mother Earth's abundance of natural materials, we lead an excursion outdoors set out to see beyond the usual, and create fairy & gnome houses. Mindfully gathering only what we need to build and design these enchanting homes. Your child will love this cognitive happiness-inducing workshop. Each child will come home with their very own fairy or gnome home. Learn how to design your very own wearable yoga in this delightfully medatitive workshop. Choose from hundreds of beautiful handcrafted crystal and wood beads to create your powerfully idiosyncratic mala bracelets. The process of stringing the beads requires mindful focus and deliberates mental cognizance. When one is in a space of loving what they are working on, one does not work. Join us in this relaxing and creatively fun filled adventure as we ignite our inner zen. Love, peace and potions! Join us as we explore the world of making essential oils into everyday magic. This hands on workshop incites our senses and allows for mindful creating, while simultaneously benefitting our body, mind and spirit with organic plant oils. Create your very own sprays, roll-ons, or lip balms to carry home and reap the advantage of doing this yourself. Learn all about how essential oils can provide healing and well being within and around ourselves. Enter this magical workshop with the intention of consciously adding more magic into your life. Manifesting our wishes into reality is the focus of this mindful class. In which we leverage the enchantment of crystal wands. Embracing the bountiful materials within nature, we begin class with our selection of the basic wand. 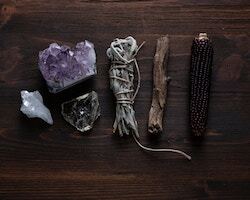 Personalizing this journey into a mindful experience by adorning them with real healing crystals, feathers, twine and an assortment of organic elements from earth. This is a truly remarkable way to mindfully create! Hello good dreams! Hello wonder! Share in this imaginative expedition of an ancient and sacred art of dream catcher making. This workshop holistically enables us to invoke awareness of being in the moment. 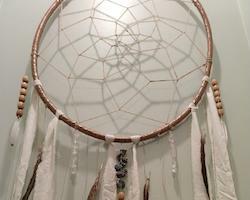 Dream catchers are said to attract good dreams to the believer. The process of creating the dream catcher oneself instills this affirmation deep within, so as to increase the serenity felt when placed within the bedroom. Happy dreaming! Gratitude in all its glorious simplicity is said to be the true key to happiness. It evokes the ability to create the life we want, enhancing our lives so our very deepest dreams manifest into our reality. This is a workshop for all who want to increase awareness in being thankful. As we shift our focus onto the multitude of blessings we have, happiness ignites. Unite with us into a class where we celebrate gratitude! Working in pairs as well as individually we consciously dedicate our thoughts to that of appreciation. We create, adorn, design, and then bind these books of mindful art into a unique take home treasure to last eternally. This is a class designed to introduce you to the concept of mindfulness via yoga. We open and close with meditation, and then enjoy a 45-minute slow flow yoga class set to music. The class will be outside by the ocean, weather permitting. You will get your choice of two kinds of fresh organic smoothies to enjoy after class. This workshop is where art meets mindfulness inducing therapeutic results. So many of us have lost the creative connection that is so effortlessly within us as children. This workshop celebrates our creativity that perhaps we never even realized we held, while allowing us to use art as a means to achieve calmness & unintended meditation. Join us as we mindfully work together to create in this safe space. PLEASE NOTE: The kid version of this workshop will be tailored & age appropriate. Pranavayu yoga workshop - Pranavayu is a Buddhist inspired yoga method that was created by David Magone. "PranaVayu is an international style of Vinyasa yoga designed to lead you to heights of physical and mental achievement that you might never have thought possible. 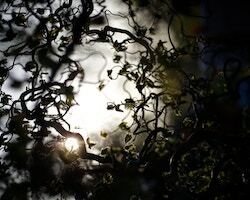 Challenging unexamined yoga orthodoxies with its innovative system of skeletal alignment and incorporating intensive Buddhist-inspired techniques for the cultivation of mental awareness and peace, PranaVayu is unlike any form of yoga practiced today." With this Pranavayu workshop, you should have a minimum of seven minutes of savanna, which to us, is the whole goal of this yoga workshop. This truly helps reset the body and mind to begin again. Join us for this beautiful & restorative mindful workshop. This workshop is one where we will lead your child in cultivating self-love and empowerment. We will create and artistically design different affirmations in form of cards so that each child can take home with them a keepsake for the ages. This affirmation deck will be personalized to each child & laminated so as to eternalize this dedication to ones own self. According to Merriam Webster dictionary, a mandala is a geometric figure representing the universe in Hindu and Buddhist symbolism. It is also a symbol in a dream, representing the dreamer's search for completeness and self-unity. This free spirited workshop is created with the intent to have your child create their own mandala in nature. Either creating by our private ocean location by collecting sea-glass & sea shell materials to create, or out in the green fields of nature to collect crystals & rocks for our mandalas. Come with us as we help your child mindfully use nature to peacefully create. Gathering all our materials from Mother Earth, we will lead this joyful workshop with the spirit of magic and imagination. As we mindfully create with our bare hands beautiful & adorn homemade wreaths created by holistically working with nature & all her she has to offer. Beginning this workshop with a short gratitude meditation and then followed by a walk into the nature trails together, we will help your child cultivate a true appreciation of how we can all mindfully celebrate flowers & plants. Turn off those iPads & come create with us! Herbal medicine, which is also known as herbalism or botanical/plant medicine, is based on the use of plants or the extract of plants that may be consumed or applied to the skin. Since ancient times, this form of medicine has been utilized by many different cultures throughout the world to both treat illness and to assist bodily functions. This class offers you insight on how you can use this traditional form of healing to replace man-made medicines. Flower essences are said to be discovered by M.D-turned-homeopath, Doctor Edward Bach, in the 1930s. He treated his own life threatening ailment solely from this process. Flower essences are formulated many ways, originally by collecting dew from the petals of flowers and Bach utilized their energetic properties to heal himself. He went on to diligently study these flowers & their spiritual properties for the rest of his entire existence on this earth. "Flower therapy is an oral treatment that has a profound effect on correcting physical imbalances, impurities, and disease. The essences contain the energetic vibrations and so the healing energies of the flowers from which they are made." This workshop will shine a light on how we can mindfully create our own flower essences, as well as practical way to use them to assist in healing ourselves now. This workshop will be filled with fun yoga poses & informative discussions where your child will learn how yoga can benefit them body, mind and spirit. Certified instructor and mother of three, Amy Connors will lead this workshop. Hands in the dirt, like our ancestors did before us! Come and gather together as we hold space for Mother Earth & celebrate her beauty in form of gardening. This workshop is one where we discuss the many benefits to this ancient way of life & consider ways to incorporate growing our own plants in even the smallest of spaces. Come to our private location in Rowley, MA where we will have access to a multitude of garden beds to mindfully study, work with & leave class with plants/vegetables to enjoy at home. Disclaimer: The suggested uses and metaphysical descriptions for all of our workshops are our personal opinions and are not to be considered medical advice.